In case you missed the memo, you can’t call yourself an Aucklander until you’ve been to a SKYCITY Breakers game. The rite of passage has it all: pumping music, hilarious entertainment, celebrity spotting and—of course—fast-paced basketball. And, if you’re under the belief sport is boring (golf, we’re looking at you)… think again! Having more energy than a Katy Perry music video, there’s never a dull moment on (or off!) the Breakers’ court. Trust us: you’ll be on the edge of your seat as you try to absorb all of the high-energy entertainment. Sound like a bit of you? We thought so! Experience the epic action for yourself on Monday, March 5 as New Zealand’s favourite basketball team go head-to-head against Melbourne United at Spark Arena. As part of the Australian NBL, this is our only home game in the semi-finals series (FYI it’s a best of three). Don’t. miss. out. Kicking off (or should we say bouncing off?!) at 7.30pm, the event will showcase dance teams, light shows and the chance for a lucky audience member to win $10,000 in a half-court shot. There will be food trucks outside and hot dogs and chips inside (you can’t go wrong with a deep-fried classic!). The night will also have a black-out theme with free limited-edition t-shirts for the first 3000 punters through the door. So, what are you waiting for? Nab tickets for you and bae (best date night ever) or round up your squad. 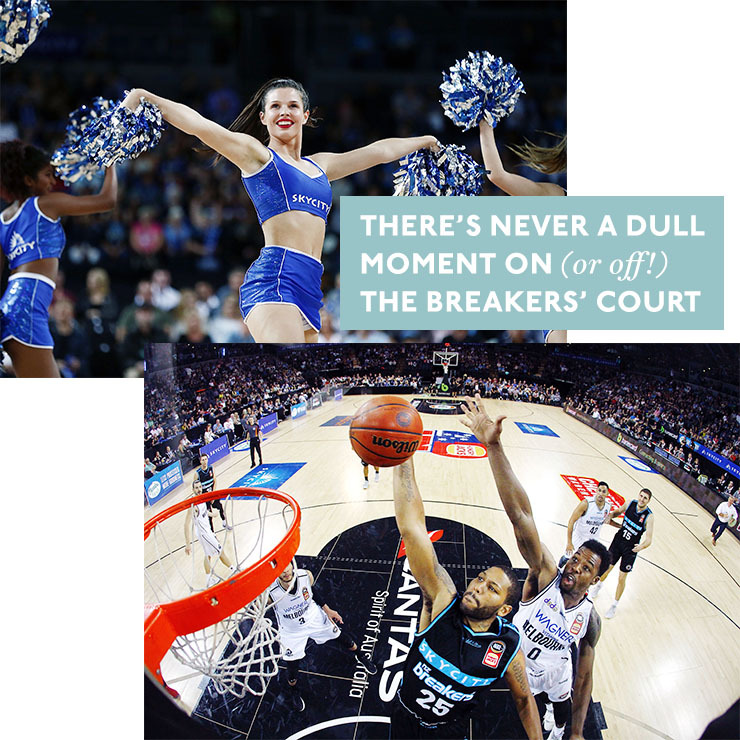 It’s guaranteed to be an epic game for the SKYCITY Breakers—aka the four-time ANBL champion winners. They’ve so totally got this! Auckland, this is one game not to be missed. We’ll see you court-side! Editor’s note: This article is proudly sponsored by SKYCITY Breakers and endorsed by The Urban List. Thank you for supporting the sponsors who make The Urban List possible. Click here for more information on our editorial policy.